After cutting back the flock last fall, we moved into 2017 with 21 sheep – 11 bred ewes (Canoe Lake Jewel joined the bred ewe flock in November) , 3 rams, 2 yearling ewes, and 5 unbred ewes. 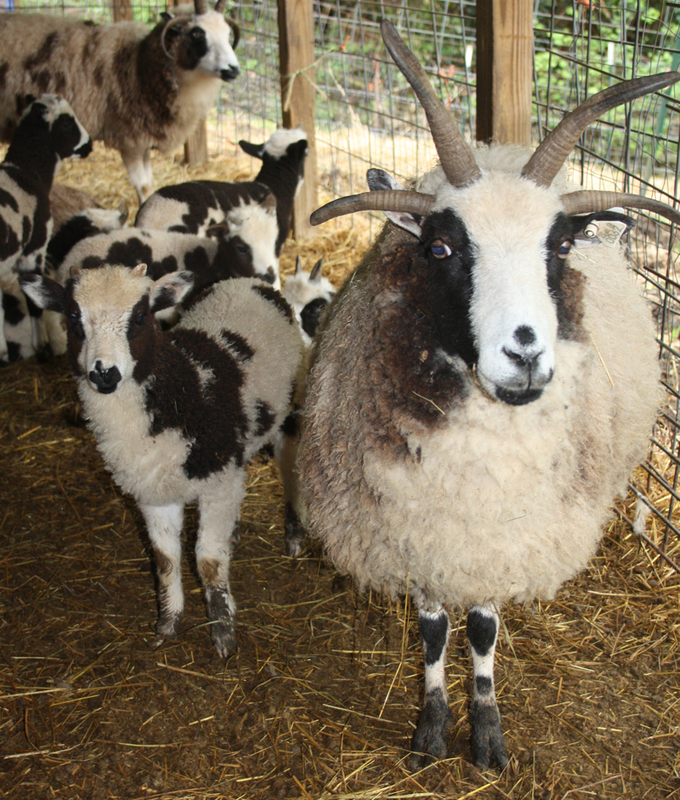 We are now at 27 sheep – 14 bred ewes, 3 rams, 2 yearling ewes, 5 unbred ewes, and 2 lambs! Broken O Trudee is a 9 year old girl. Originally bred by Mickey Ramirez (Broken O)in Fort Collins, CO, she traveled to Jennifer and Brian Tucker (Moose Mtn.) in Bennett, CO as a lamb and came to Georgia in January 2017. 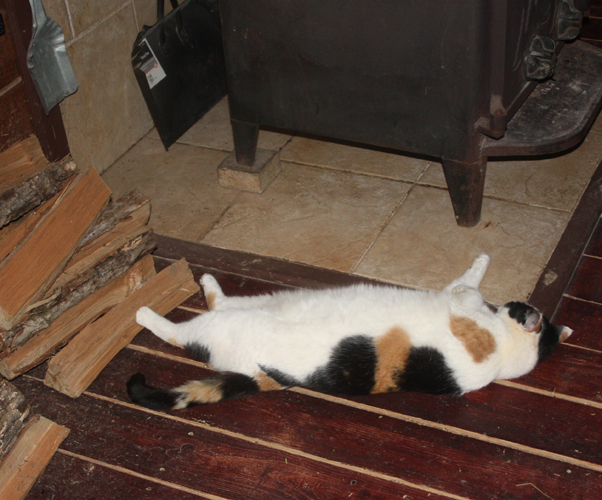 As a bonus, Trudee was bred to Windy Acres MacCallum. Trudee is a big girl with a strong personality! Broken O Dotted Eye traveled from CO with Trudee. She is a 12 year girl and is bred to a Moose Mtn. ram. She is a sweet girl. And the biggest Jacob ewe I’ve ever had! Thank you to Alena and Jack Hixon (Dragonwool) for adding these two lovely old girls to your trailer. I’ve been wanting this ewe for years and finally she is mine! Thank you to Kim Sutton (S-Squared) in Oklahoma for getting St. Jude’s Callie to Georgia. Callie is a 9 year old who was born in Texas. She is bred to Painted Rock Storm. She loves treats and scratches. Because Callie would have been lonely on the trip to Georgia (and because what’s one more sheep?) 8 year old St. Jude’s Duchess made the trip with Callie. Duchess is bred to S-Squared Atticus. Duchess is a calm, but aloof girl. She’s easy to handle, but doesn’t seek out attention like Callie. 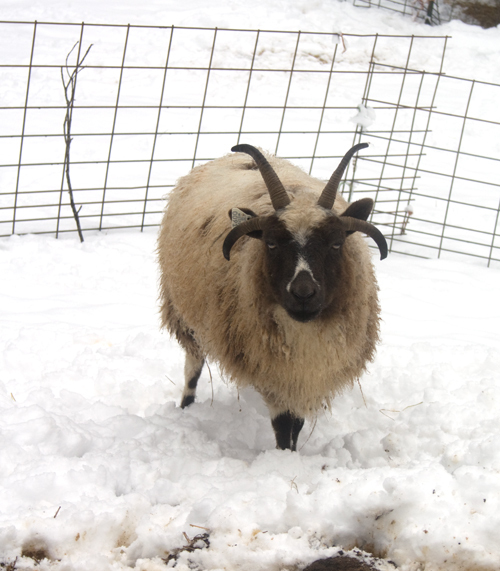 Right on schedule Broken O Trudee added the first of the 2017 new new sheep on February 11. Next up? Probably Unzicker Emily with Patchwork Finbar’s first lambs – stay tuned! It’s easy to post a sentence or two and a photo on Facebook. I’ve neglected my blog which I enjoy more. So I’m back to blogging. HI!!! Plans for fall breeding didn’t go as planned. Health issues took the front seat in our lives in September and continue to be our main focus. We decided to not bring any sheep from the other barn home to the rams and just breed 10 ewes. Because sheep are still a big part of our focus. And a source of relaxation and stress relief for me (usually). As usual, plans didn’t go quite as planned and our 10 bred ewes jumped to 15. More on that in the next post. Today was just a nice day to take my $10 thrift store camera out when I was feeding and take a few pictures. The ewes are starting to show the promise of lambs to come! Patchwork Tickle had twins her first time lambing . She’s not due until March 10. I think she’s going to continue her twinning tradition. With her marbled blue eyes and Wiggle Hill Jubal’s blue eye (and one marbled eye), I think we’ll have some blue eyes. 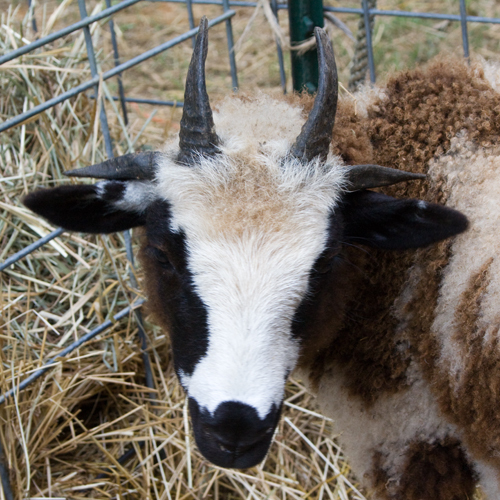 Lilac ewe bred to a lilac carrier ram. Patchwork Finbar (in the front) photo bombs the photo of Jubal. Finbar is a serious ham. Moose Mtn. Reina is due 3/13. She’s looking a little saggy :). Reina is a lilac and is bred to Patchwork Cowboy, a lilac carrier. Cowboy left Patchwork in November to spend time at The Cove Fields in NC before heading to Havencroft in Arkansas in January. Southwind Indigo came to us from New York in October, bred to Ballard Escapade. 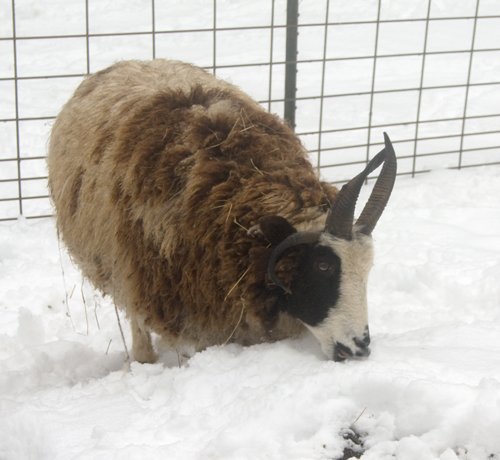 I’m not sure of her due date – probably mid March – but am confident she’s got some lambs in there. Surprises are fun and common when raising sheep. She’ll know when it’s time even if I don’t. Old dog, Maggie, isn’t expecting anything but supper, some hugs, and a warm bed! She is 11 1/2 (old for a Great Dane) and has had a bit of rough time this year with her hips. She wiggles a little when she walks, but still makes the trip with me every evening to feed sheep. Patchwork Badger and Patchwork Elsa are my eleven year old daughters of Jacquee’s Junco. Badger and Elsa were such cute lambs! Badger took a bit longer and required a minor intervention. But all ended well. Hi Marloe! The sisters and their sister lambs. Elsa had a bit of a tussle during a time away and manged to break both laterals in a hay feeder. I take the blame for the one broken top. Note the solid cores that are still apparent. Things don’t always go just perfectly. 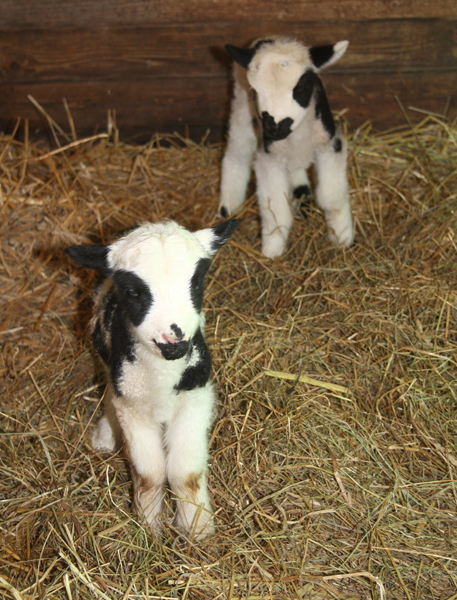 Lambs 6 & 7 were birthed easily and quickly on March 11. The first Spot Hollow Ace lambs look good! Lamb 8’s picture won’t be shared. St. Jude’s Sissy had the “look” on March 10. After a bit she wandered off to be alone. Labor started but there was no water bag. This is often an indication of a breech birth (although there are other worse case scenarios). Sissy is a friendly ewe who doesn’t mind me being around her. I was able to do a quick exam while she was laying down. Definitely not feet first as would be the optimal delivery. I went to get gloves and hollered at Dave to be around in case I needed him. By the time I got back (2 minutes), the delivery was in process. Sissy delivered on her own. Lambing keeps me humble and reminds me that I haven’t seen everything even after 23 years. The sac was so thick and opaque that I wasn’t really sure there was a lamb in there until I opened it. 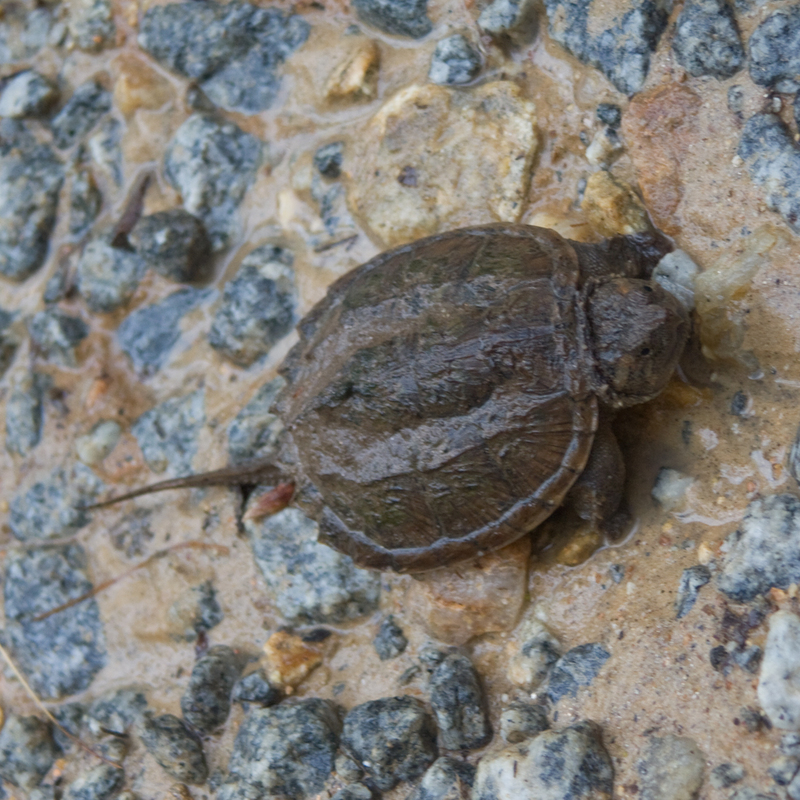 Sissy, great mother that she is, was working hard to clean and revive her baby. From the looks, the lamb died before labor started. Baby 9 probably instigated labor. Happily, she delivered baby 9 shortly after. 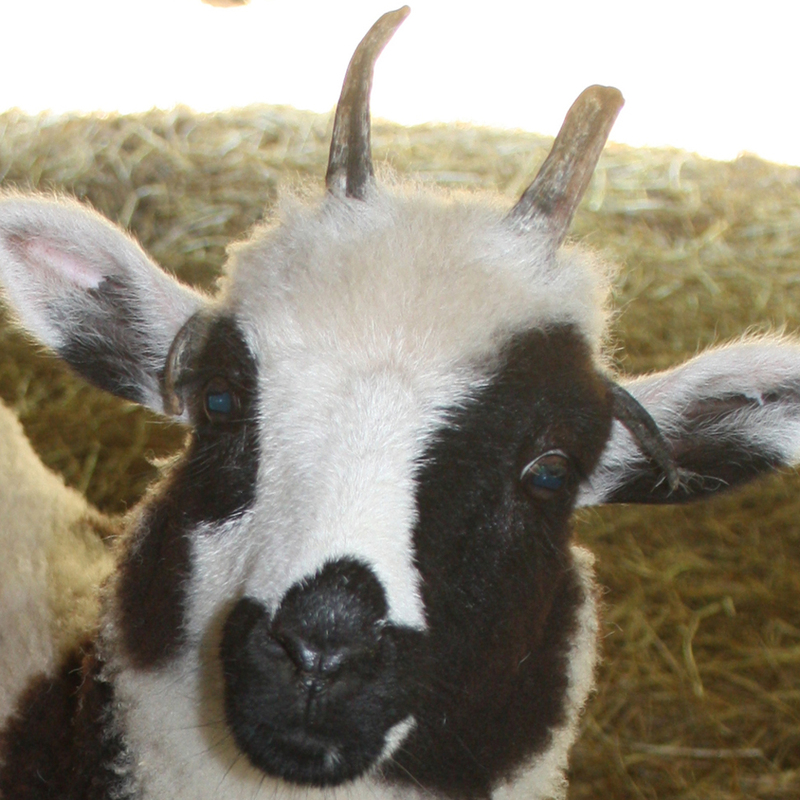 Meet Patchwork Sterling – St. Jude’s Sissy x Kenleigh’s Casanova. I didn’t have breeding date for Sweetgrass Gavotte. She’s been huge forever! Early morning check on 3/12 found her with two cleaned, up and nursing lambs sired by Spot Hollow Ace. 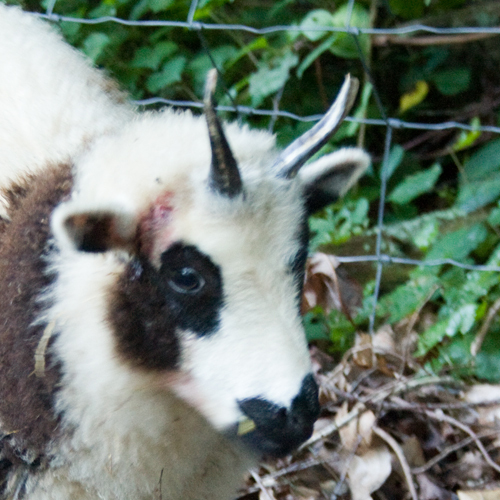 Patchwork Allegra – 4 horned ewe. It has been a year of more computer duties than usual with not much time for sitting down and musing in my blog. Not much time for sitting down at all, come to think of it. Forget musing. With the start of 2016 lambs comes the inspiration to revive the blog. Patchwork Marabelle took a look at the calendar and said “it’s time!” Patchwork Rolex (because he was right on time) was born just before midnight on 3/7. 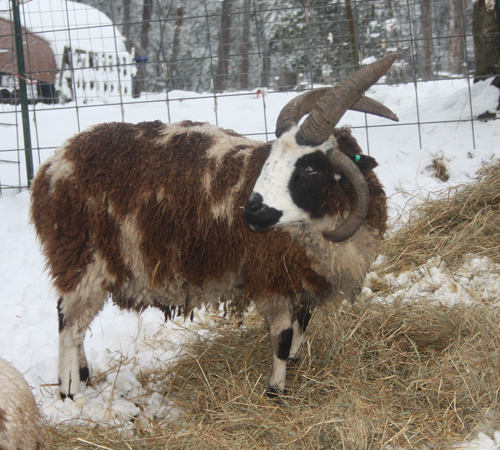 He’s a handsome two horned boy sired by Kenleigh’s Casanova. Just after midnight on 3/8, Patchwork Tempo delivered a flashy ram lamb. Last year this same cross produced a lilac ram that was barely 15% color. It pays to try again. Patchwork Joker because genetics has a sense of humor. The afternoon of 3/8, Patchwork Praline found a sunny spot and delivered the first ewe of the season and Chester’s Banjo’s first lamb. Brio is full of vitality! Wednesday was a day off for the ewes. Thursday noon, Patchwork Jazz walked down the hill and delivered the first set of twins of 2016. Banjo is doing a good job. Patchwork Ella (in front) and her brother, Patchwork Domino. Ella and Domino and Jazz. Lambs are so much fun!! Because I haven’t blogged in forever and because someone asked me about ewe lamb laterals, I decided to answer via my blog. 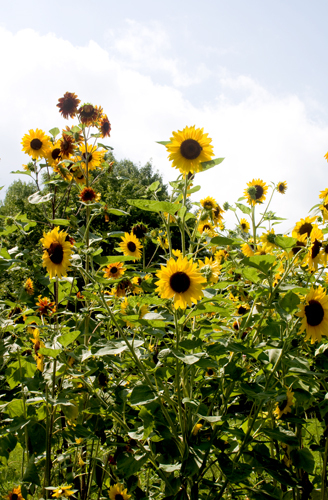 If you don’t care about laterals, you can stop at the sunflower. Everyone that raises 4 horned Jacob Sheep knows how hard those ewe lambs can be on their laterals. 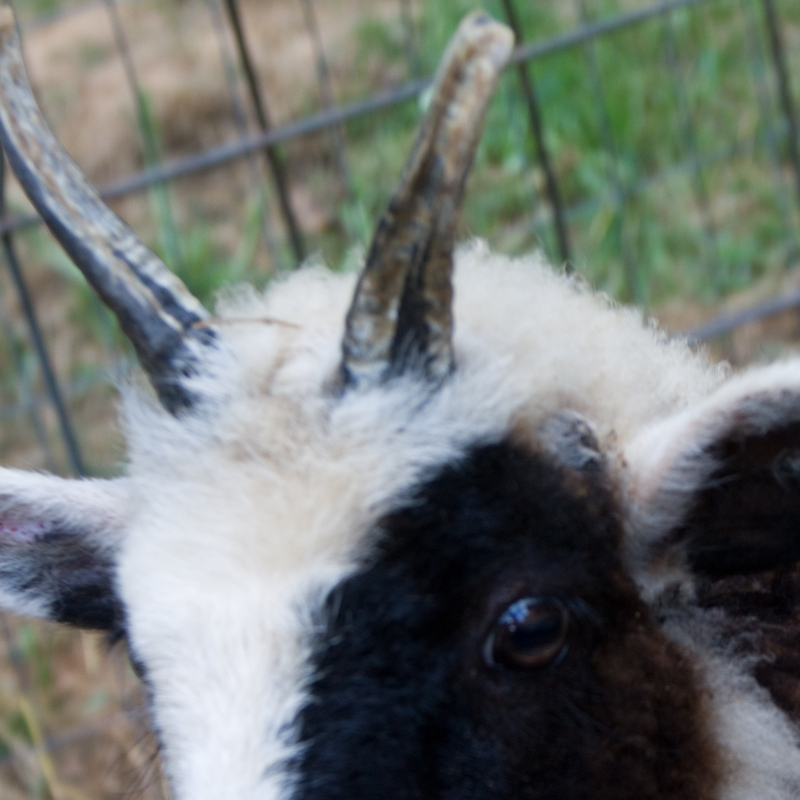 And we all know the nail biting time while we wait to see if those laterals are going to really be horns. Or will they be scurs? some ewe lambs take a little longer to develop strong laterals. 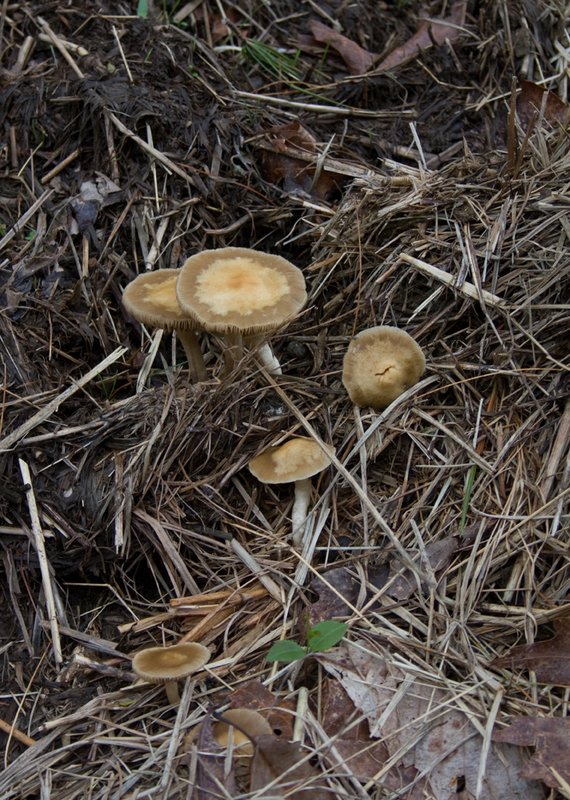 You can generally feel the horn core beneath the surface, but you can’t always see it. 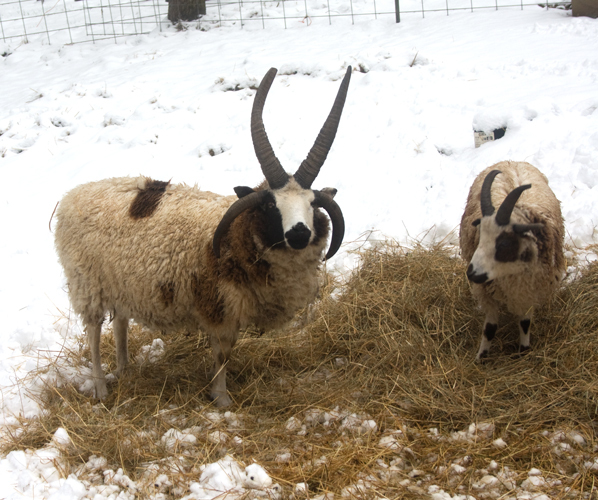 Lisha’s horns at 3 months certainly don’t look very promising. I was glad when she broke them. The blood is actually a good sign. It shows that she has a true horn core. Just over a week later, she shows a strong horn beginning to grow. Although it’s abit hard to see in the picture, the “nub” is very firm and just under an inch in diameter. Don’t despair too quickly on those slow developing ewe lambs. If you can feel a core, patience will likely pay off! In preparation for next week’s shearing, I discovered that Momma Wren had chosen to build a nest in a basket of fleece sitting on my work table. A cardboard box on top of the basket gave her a narrow entrance into her cave. 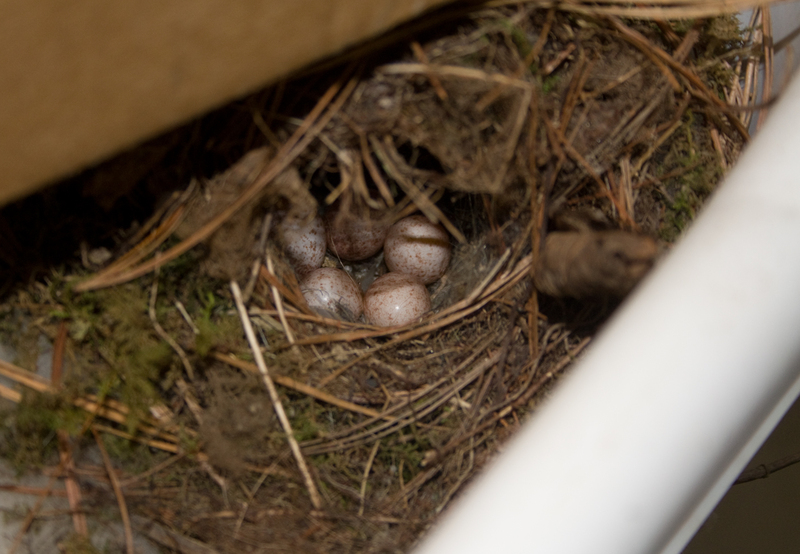 I moved the box to get a picture of the eggs. It has been replaced. 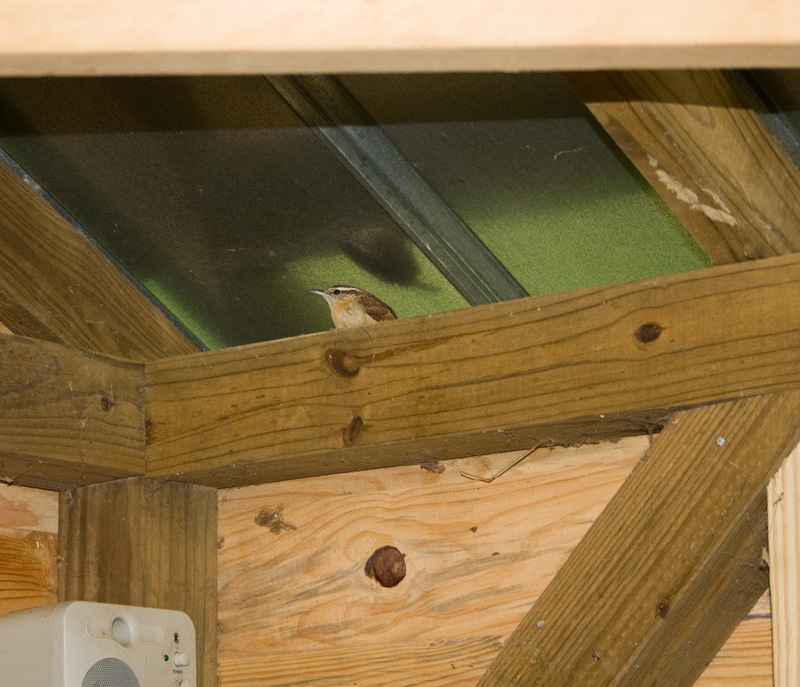 Wrens are pretty tolerant of humans if you don’t get too close. I’ll be using a different table in the fleece room for a while! It’s good luck to have a wren nest in your house. A four leafed clover and nest of wren eggs! What a great year! 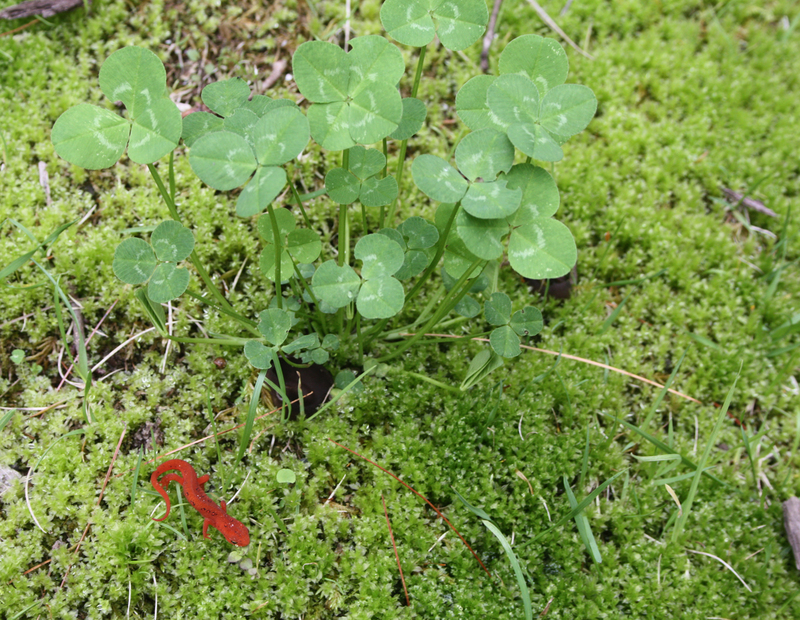 And … maybe, with some luck … there will be May flowers. is that when I find I have time to blog it’s because nothing is going on. When I do have something going on, I don’t have time to blog. 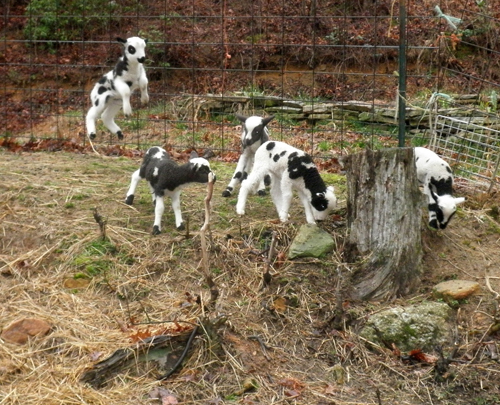 Ten days later, the lamb count is up to ten lambs from six ewes with six more ewes left to lamb. 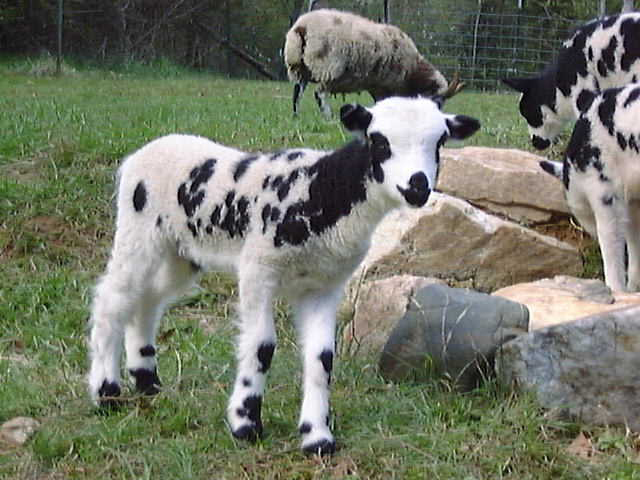 Lambs are posted on our website LAMB PAGE as they are born. Soon there will be time and news all at once and I’ll be back with a chatty blog post. I’m outside watching the lambs play. 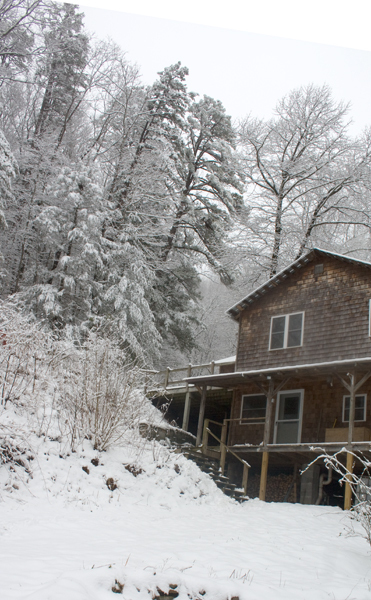 A snow day in Georgia is about as rare as….a blog post from Patchwork Farm! As novel as a snow day is, I’m ready for spring..